GRANT NORRIS, BS, MBA, is a senior director in Coopers & Lybrand's National SAP practice based in Philadelphia, Pennsylvania. He has worked designing and installing enterprise systems for a variety of organizations in Canada, Europe, the Middle East, and the United States. He has been implementing SAP software since 1988, starting with SAP R/2. IAN WRIGHT, BS, is a manager in Coopers & Lybrand's National SAP practice based in Philadelphia, Pennsylvania. His background is in designing and installing financial systems with C&L and other major consulting firms. He has worked with SAP software in Europe and North America since 1990. JAMES R. HURLEY, BA, MBA, CAGS, CPA, is the partner responsible for Coopers & Lybrand's National SAP practice in the United States based in Philadelphia, Pennsylvania. He has a strong background in applying technology to business with C&L and other Big 6 consultancies. He has been implementing SAP R/3 in North America since its introduction in the U.S. in 1992. JOHN DUNLEAVY, BA, MBA, ABD, CPA, is a senior partner in Coopers & Lybrand's Telecommunications, Media, and Utilities group based in Parsippany, New Jersey. He is the coauthor of Reinventing the CFO: Moving from Financial Management to Strategic Management. He has been involved in implementing SAP R/3 since 1995. ALISON GIBSON, MA, CMA, is a manager in Coopers & Lybrand's Integrated Strategic Services practice based in Philadelphia, Pennsylvania. She has experience in designing and installing information systems and now specializes in IT strategy. She has worked in the installation and selection of SAP software in Europe, North America, and the Pacific Rim since 1988.
Who Is SAP, and What Is R/3? What Is the Business Case for Implementing SAP Software? Are We Ready to Implement SAP/R3? What Do I Need to Know About SAP R/3 Functionality? THE IMPLEMENTOR'S VIEW: TOOLS AND ISSUES. THE IMPLEMENTOR'S VIEW: THE IMPLEMENTATION PROCESS. Only guide to SAP decision-making process written by financial professionals (including two CPAs). 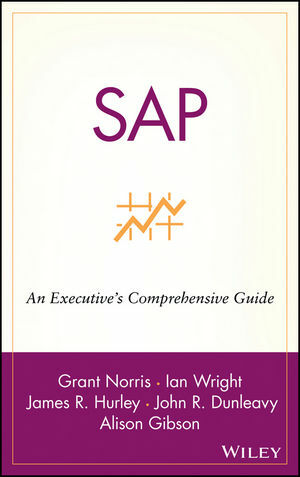 Provides step-by-step guidance on all the facets of SAP and whether it is appropriate for the reader's corporation. Provides Coopers & Lybrand's SAP methodology. Provides technical aspects of the SAP package for IS professionals.